According to the Centers for Disease Control, there are approximately 500,000 cancer-related deaths each year. However, the organization also notes that many types of cancer can be prevented through healthy behaviors and early screening. To help increase awareness and aid in early detection, following is a list of 34 cancer risk calculators for common types of cancer. Melanoma Risk Assessment Tool – National Cancer Institute. For clinicians, this tool considers factors such as geographic location, gender, complexion, and more to help medical professionals assess a patient's risk of developing melanoma. Your Disease Risk Melanoma Calculator – This risk calculator from Washington University's School of Medicine Siteman Cancer Center estimates your risk of melanoma and provides advice on how to minimize that risk. Skin Cancer Risk Calculator – This easy to use calculator focuses primarily on sun exposure to determine your risk level. Melanoma Calculator - This calculator from a skin and mole clinic asks users to assess their moles, freckles, and skin history. Your Disease Risk Lung Cancer Calculator – As this risk calculator from the Siteman Cancer Center explains, the deadliest cancer is lung cancer. Use it to assess your risk and learn how to help prevent it. Lung Cancer Screening Decision Tool – Do you need lung cancer screening? This tool from Memorial Sloan Kettering Cancer Center considers factors such as smoking and exposure to asbestos to help you find out. Cancer of the Lung Evaluation and Assessment of Risk – Known as CLEAR, this cancer risk prediction tool from University of Texas, MD Anderson Cancer Center is designed specifically to assess smokers' risk of developing lung cancer. Lung Cancer Risk Assessment Tool – This tool is quick and easy to use and provides results based on five risk models—Spitz, LLP, Hoggart, PLCO, and Bach. Lung Cancer Screening Tool – This calculator from the American Lung Association points out the startling 116 percent increase in lung cancer deaths among women in the last 35 years and emphasizes the importance of getting screened if you're a high-risk individual. Lung Cancer Risk Assessment Tool – In addition to assessing risk, this tool from St. Peter's Healthcare System provides important facts about lung cancer risk factors. What Is My Risk for Lung Cancer? – In just three questions, this interactive tool helps determine your risk for lung cancer and provides advice on whether screening is a good option for you. Your Disease Risk Prostate Cancer Calculator – This risk calculator from the Siteman Cancer Center helps men determine their chances of developing prostate cancer and offers advice on how to lower their risk. Individual Risk Assessment of Prostate Cancer – Developed based on prostate cancer prevention trials at the University of Texas Health Science Center, this calculator is for men who are 55 and older. Prostate Cancer Risk Calculator – The Prostate Cancer Research Foundation offers 8 risk calculators. The first assesses general risk. The second requires users to know their PSA level. Calculators 3 – 6 are meant to be used after users have consulted with their doctor. The Foundation also offers versions of the calculators as smartphone apps for Apple and Android. Prostate Cancer Risk Assessment – This calculator developed based on men who've undergone prostate biopsies at Cleveland Clinic requires that users know their PSA and DRE test results. Breast Cancer Risk Assessment Tool – This tool was developed by scientists at the National Cancer Institute. Do You Know Your Risk for Breast and Ovarian Cancer? Assess Your Risk – In addition to assessing your risk for breast and ovarian cancer, this interactive tool provides information about factors that can increase your chances of breast and/or ovarian cancer and offers advice on how to mitigate those risks. 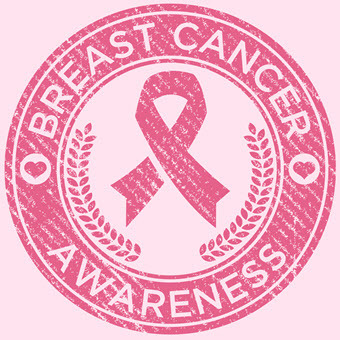 Breast Cancer Risk Calculator – This calculator was the first on the Internet developed to assess breast cancer risk. It was updated in 2014. Breast Cancer Genetics Referral Screening Tool – Some forms of breast and/or ovarian cancer may develop as a result of inherited gene mutations. This tool helps users determine if they should receive cancer genetic counseling. Your Disease Risk Breast Cancer Calculator – From the Siteman Cancer Center, this calculator assesses factors such as family medical history, physical activity and reproductive health to determine one's risk of breast cancer. Colorectal Cancer Risk Assessment Tool – Developed by the National Cancer Institute, this calculator is best used in conjunction with your medical provider. Bowel Cancer Risk Calculator – This risk calculator explains that chances of developing colorectal cancer increase depending on certain factors such as age, weight, and lifestyle. Colon Cancer Risk Assessment – From Cleveland Clinic, this risk assessment takes less than 5 minutes and provides users with personal screening recommendations once completed. Colon Cancer Risk Assessment – This interactive tool uses nine questions about personal health to determine your risk of colon cancer. Based on your answers, it uses orange tabs to note areas that may put you at higher risk. Your Disease Risk Colon Cancer Calculator – While common, as this calculator from the Siteman Cancer Center explains, colon cancer is also one of the most preventable cancers through healthy behaviors and regular screening tests. Your Disease Risk Kidney Cancer Calculator – As the Siteman Cancer Center explains, kidney cancer is known as the “silent” disease because it shows few symptoms in the early stages. This calculator will help determine your risk. Lifetime Risk Calculator – Simple to use, this calculator shows what percent chance your have of developing kidney cancer in a 75-year lifespan. Bladder Cancer: Risk of Recurrence Following Surgery – Memorial Sloan Kettering Cancer Center presents this calculator which helps bladder cancer patients determine their risk of recurrence following surgery. Your Disease Risk Bladder Cancer Calculator – The Siteman Cancer Center explains that men who smoke and work in the rubber, aluminum, or textile industries have an especially high risk of developing bladder cancer. Its calculator helps estimate that risk. Leukemia Risk Assessment – In addition to determining risk based on health history and work environment, this calculator provides basic information about leukemia and how it develops. Thyroid Cancer Staging Calculator – For those diagnosed with thyroid cancer, this calculator from the American Thyroid Association helps stage the cancer and should be used in conjunction with a medical professional. Predict Risk of Malignant Thyroid Nodules – From Cleveland Clinic, this calculator is designed for use by medical professionals. Papillary Thyroid Cancer Survival Rate Calculator – For those who have or have had papillary thyroid cancer, this calculator asks questions about their diagnosis and treatment to estimate their 20-year survival rate. Revised International Prognostic Index – This calculator for medical professionals can be used to determine the prognosis of a patient with Non-Hodgkin's Lymphoma.